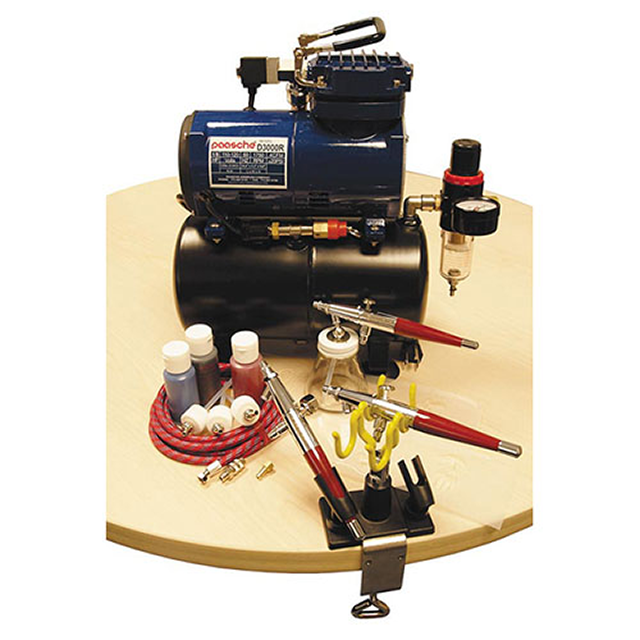 This item is a professional tattoo set to start out as a tattoo artist or to improve your skills as an airbrush artist. The D3000R compressor is quiet, easy-to-operate and provides perfect portability due to a carrying handle. Besides, the unit has a storage tank with a regulator and a moisture trap that make a process much more enjoyable. The tank and the regulator supply dry air. 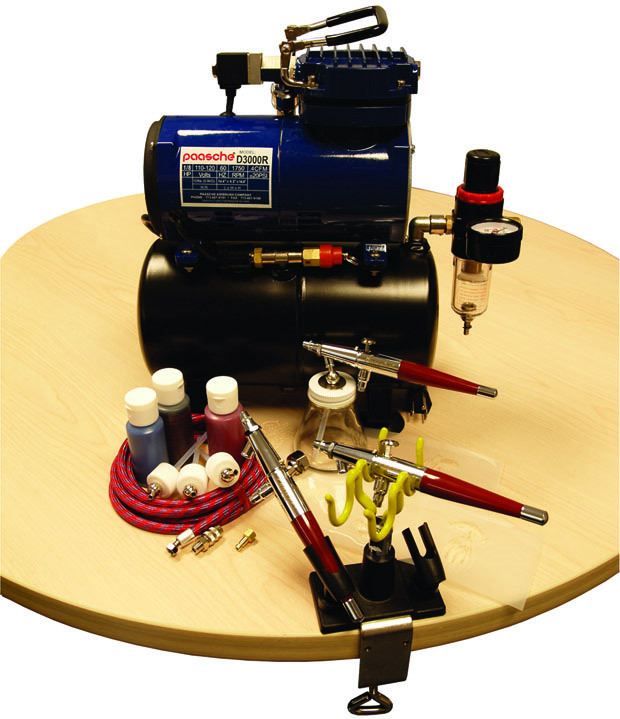 Also, there are three airbrushes for many applications. It can automatically turn off, what is the undoubted advantage of the device. The operating pressure is between 20 - 40 PSI. Once the pressure in the tank reaches its max level, the compressor switches off. This set also has a couple of stencil designs, so you can start out right away. You’ll like this compressor on your first try. First of all, Paasche is a popular brand known for the durability and reliability of its products. Secondly, the auto shutoff function will be a helpful addition as it prevents the compressor from overheating. The compressor stops working once the maximum pressure is reached. To start the compressor you should attach to the tire valve stem and turn the trigger on the tank. It will restart when air flows out of the device. There are tattoo body paints, tattoo stencils, and paint bottle cover assembly. 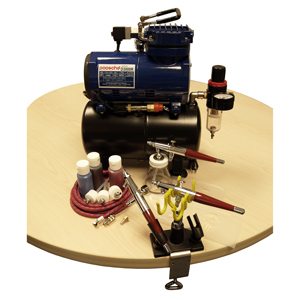 The moisture trap and the storage tank are among other pros, what makes a painting process easy and enjoyable. And, of course, the price is really attractive as our store offers the discount system.